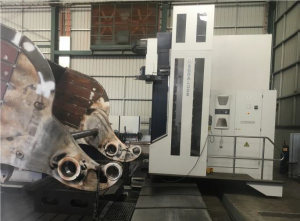 Remanufacture of two 1370 Lower Propel Cam Frames involves removing the damaged material, machining weld faces, machining a compatible forged insert, pre-heat, welding heavy sections, stress relief, machining and straightening. And all in a cost efficient manner! This project completed on time and on budget. 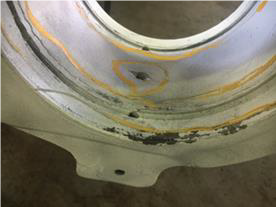 Reclaiming bores on large mining equipment is critical to ensure reliability and availability of a remanufactured component and involves cleaning up damaged bores, critical welding to re-establish metal quality and thickness, and then line boring prior to fitting new bushes. This is a time consuming process and difficult to get right. 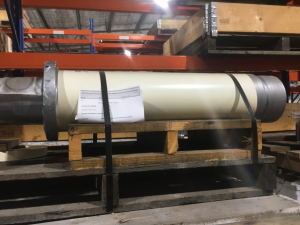 J&S Engineering continues to optimise repair processes to ensure both quality and efficiency are delivered. 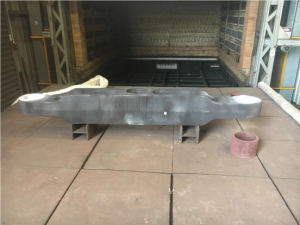 Our most recent innovation is to utilise our large Soraluce Travelling Column (STC) to machine bores after welding using the unique interpolation capability of the STC. This approach renders portable line boring equipment obsolete when components are able to be repaired off-site. The use of the STC on our most recent example of an excavator bucket modification has delivered a 2 day time saving. This unique approach to reclaiming bores shifts the cost benefit equation in favour of ‘Off-Site Repair’ as opposed to ‘On-Site Repair’ in terms of quality and efficiency. 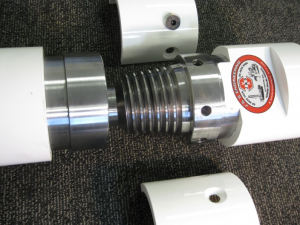 Controlling critical welding of bores cannot be understated, controlling welding parameters including consumables and temperature underpins quality and smart machining dictates efficiency. 3. 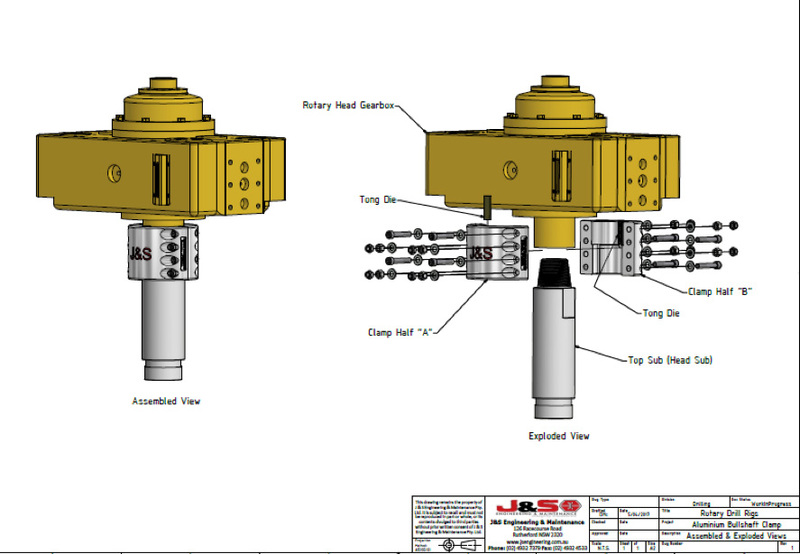 J&S Engineering achieves ‘lowest total cost of ownership’ solution. J&S Engineering, with more than 30 years’ experience in Heavy Engineering and Mining, has built an enviable reputation for Off-Site Repair and Re-Manufacturing of Large Complex componentry. 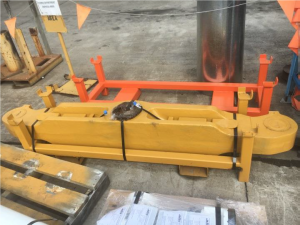 Recently J&S Engineering were successful in open tender to refurbish a CAT 6090 Face Shovel stick. 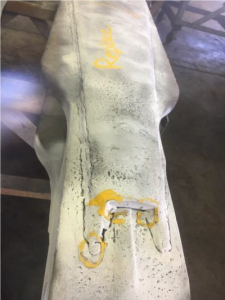 The scope of works was to remove sections of the top and bottom chords and repair significant cracking in the front casting. This style of work is well suited to the qualified boilermakers employed at J&S Engineering who have all been qualified to AS2980. The range of complex geometrical shapes required in the top and bottom cord created a difficult and challenging project. 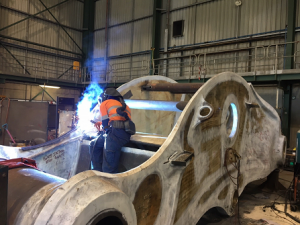 J&S Engineering has developed numerous qualified welding procedures and operating practices to ensure the refurbishment is a success in terms of quality and delivery timelines. 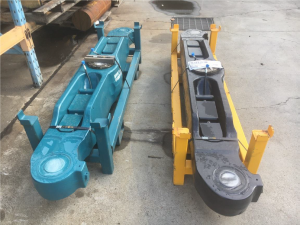 With a demonstrated history across multiple sites, customers and machinery, J&S Engineering is recognised as the ‘go to people’ for Excavator Boom and Stick refurbishments. 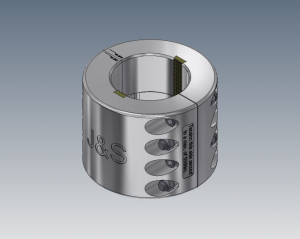 Not welding the Top-Sub to the Hi-tensile steel Bull shaft extends shaft life.